When elected as Governor, when Grayson “Kash” Jackson takes office, he should immediately insist that the legislature and the judiciary stop violating the separation of powers doctrine and insist that if the state is going to regulate domestic relations between divorced and married parents, that the legislature should properly fund an executive agency to administer the policy and restore the judiciary to its proper neutral decision-making role. What the legislature and the judiciary have created today is a system where the judiciary is not neutral, is not unbiased, but a system where the judges claim to act as advocates for children but are actually acting as advocates for the state. No parent will ever receive a fair, unbiased hearing on their parental rights so long as the judges hold a child advocacy role that they place above their constitutional judicial duty to be neutral and impartial decision makers. You are either a neutral and impartial decision maker or you are acting in the child’s best interest. You cannot do both. While some people may think the state should act in the child’s best interest if that’s what they want then it cannot be the judge playing that role because they are not judges if they are not neutral and impartial. It is the executive’s role to be biased in favor of the state’s interests, not the judge’s role. Because the real issue is not what’s in the child’s best interest. The real issue is who decides for the child what is in the child’s best interest. Do the fit parents decide or do state bureaucrats decide? Ask the question, does the state of Illinois have a domestic relations policy which governs child welfare when two parents divorce? If the state does have such a policy, who administers that policy? Does the Governor administer that policy through the executive branch or do the judges administer that policy? Is Governor Rauner presiding over a domestic relations policy that violates the separation of powers doctrine? If the judge is administering the policy who is the unbiased decision maker? Where is the fair hearing? Did Kash Jackson get a fair hearing or was Judge Salvi administering the unconstitutional state policy and in violation of his Article VI constitutional judicial duty? Did Judge Salvi violate Kash’s children’s constitutional rights? Did Kash’s children have a right to have their father in their lives equally? Did the children have a right to be supported by their father directly? What authority does this judge have to violate the rights of these children? Does our constitution not protect children in Illinois? Who is checking to see whether this policy harms the children? Even mental health professionals recognize the “harms now being deliberately inflicted on …children” by the federal money seeking machinery of the state, and that separating the children from their parents causes “tremendous psychological stress, and denies them vital emotional support…often leading to clinically significant anxiety, depression, traumatic stress, and other psychological disorders.” The very courts that claim to protect children, are tearing Kash’s children away from him, threatening to jail him for not getting paid their extortion money. Kash’s children are not in need of financial support, their mother makes a healthy income and Kash has never failed to care for his children directly. It’s the court that prevents Kash from supporting his children directly because that would not produce any payout from the federal Title IV-D money to Governor Rauner’s budget. If the court actually protected the children, they would protect Kash’s right to care for his children directly, and the children’s right to be with their father equally. Instead the court reduces the time that Kash can spend with his children and his children with him to justify receipt of federal money. When the state jails fathers they further reduce the support that these children receive from fit, loving, active fathers. One father recently reported to us that the state jailed him at a time when he was getting ready to assist his daughter’s move-in to her college apartment and help her with her college tuition. Jailing this father has caused him to be unable to work and no longer able to assist her directly. So one has to ask the question, is Governor Rauner politically benefiting from harming children like Kash Jackson’s children. Is Judge Salvi benfiting from harming Kash and other parent’s children? Are they playing off of your belief that judges act fairly, honestly, and ethically to cover up this immoral, unconstitutional, and therefore illegal government scheme to benefit from federal Title IV-D dollars? You don’t want to believe that Governor Rauner and Judge Salvi would harm children for political gain, but that is exactly what they are doing. This profit is at the expense of the children. These children do not benefit from their father being put in jail. Judge Salvi is hurting good veteran fathers, taking advantage of the children, and harming the children by taking their father away and creating derogatory labels and fake labels that are not truly reflective of these fit and loving fathers. There are many fathers who support their children directly, did not fail to provide for them directly, but as soon as the mother took them to court they had child support orders imposed on them and they had not abandoned, neglected, abused, or failed to provide for their children. There are many poor fathers throughout the history of our country who have moved mountains to provide for their children even though they didn’t have a dollar to their name. One of our greatest presidents Abraham Lincoln grew up dirt poor who could never possibly have paid the kind of child support that Kash Jackson is being compelled to pay. Married parents are only required to provide the basics for their children. Divorced and separated parents in Illinois are being ordered to provide more. And when a parent who is ordered to pay child support can no longer pay, they don’t have the option of welfare to bail them out. They go to jail. It is against our constitution to jail a person for being poor or in poverty, but Illinois family courts do it every day to extort money from parents to keep the federal dollars flowing. Is six months away from their father in his children’s best interest? Is it really? Can any rational person say that his children will be better off if he serves six month in jail and doesn’t get to see them. The whole idea is insane. It’s like Al Capone saying it’s in your child’s best interest for him to break both your legs because you didn’t meet his extortion payment. Judge Salvi has ordered that if Kash doesn’t pay $3000 he will serve a six-month jail sentence. Kash had to resort to crowd funding to pay these past extortion payments before and that has not stopped the state trial court from continuing to threaten jail and continuing to drag him back in to court over and over again for more, even though the maximum allowable amount is already being taken directly out of Kash’s check. Kash tried to modify the amount of child support numerous times in the past because his income went down when he retired from the Navy. The Court has continued to deny modification based on technicalities in the process. The modification process is difficult to navigate and is not transparent. Just like many other processes in Illinois used to cover corruption so that the corrupt practices can continue. So saying that Kash owes child support does not paint the real picture. Judge Salvi owes Kash a modification that is reflective of his ability to pay of his retired status! Judge Salvi is denying Kash Jackson the right to honorably retire from military service. Judge Salvi is putting Kash Jackson in jail for no other reason other than that he retired from the United States Navy. That consequent reduction in revenue reduces the amount of federal dollars flowing into the state’s budget. The issue here is not Kash’s children. The issue is that Judge Salvi has a quota to meet and he has failed to meet his quota so he is extorting money from Kash Jackson like any good loan shark would. Why does Governor Rauner and Judge Salvi continue to use loan shark tactics to destroy parents and to profit on the suffering of Illinois children? Is that the type of Governor that Illinois voters want to have in their state? Or do the voters want a Governor who will restore their rights, demand transparency, simplify processes, and bring wealth, safety, and prosperity to the people? Protection of Rights, Dignity, Prosperity, Safety, and Well Being is what the voters of Illinois could expect when they vote for Kash. This whole child support scam is fake news. It is a made up program to take advantage of children by extorting their loving parents for money. What has Governor Rauner done to fix this? Most governors we know are using children as their tool to lie to you and manipulate you to make you believe that their political greed is helping children when actually it is the politicians backing these policies who are harming the children for their own benefit. If you believe that Illinois children deserve better you have a choice to change your leadership to a new Governor on November 6, 2018. Kash Jackson knows the devastation and impact that family law has on children, their parents, their extended family members, grandparents, aunts, uncles, cousins, and sibling, and the state’s economy as wells. Put someone in office who understands you and your love for your children. Kash believes that children belong with their families and in keeping families together. There are more posts that continue this story. Click here for the rest of them here. *Ron Palmer contributed major portions of this post. If you would like Ron Palmer to speak at your next event, you can request him here: I want Ron Palmer at my next event. NextThings Texas Does Not Want You to Know About Their Family Code. Trump Directs DOJ to Rescind Letter to Judges to Show Mercy on Child Support Debtors. 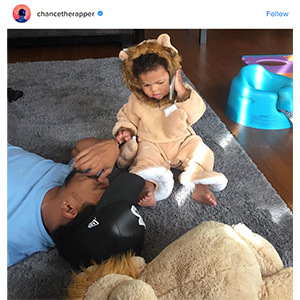 Does ChanceTheRapper Know The Fight He Has Ahead of Him in Family Court? 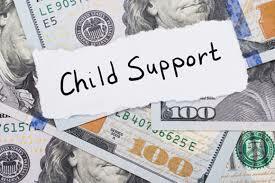 Noncustodial Parents in Illinois Can Receive Child Support!